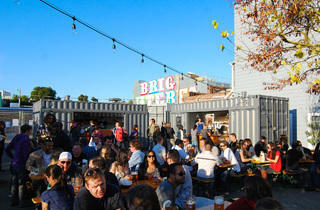 This parking lot beer garden is a 20-something hub in the center of Hayes Valley. What it lacks in ambiance, it makes up for in hefty steins of beer, available by the half- or full-liter. You’ll find seven rotating German and Austrian styles on tap, including Stiegel Pils, Franziskaner, HofBräu Oktoberfest, and Weihenstephaner lager. 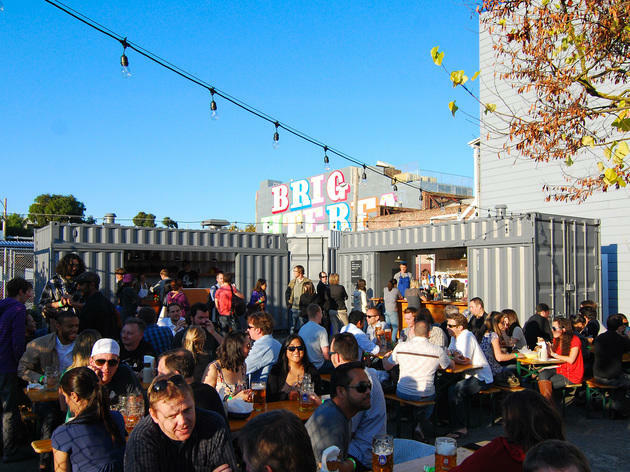 The brews are best paired with traditional fare whipped up by Suppenkuche down the street, including bratwurst (plus currywurst and frankfurters), Bavarian cheese plates, and pretzel knot sandwiches. On Wednesday nights, the cooks make half-pound burgers with various toppings. The garden’s long wooden tables fill up fast on sunny days, but the crowds tend to thin out around dusk. Grab one of the complementary wool blankets and take another slug of beer. My sister brought me to this gem. It is fantastic!